More than fifty iconic designers (Coco Chanel, Karl Lagerfeld, Miu Miu, Christopher Kane, Marc Jacobs, Alexander McQueen) and looks are featured in this one-of-a-kind coloring book that pays homage to fashion. Included are hundreds of outfits and accessories for fashionistas and budding designers to complete and reimagine. 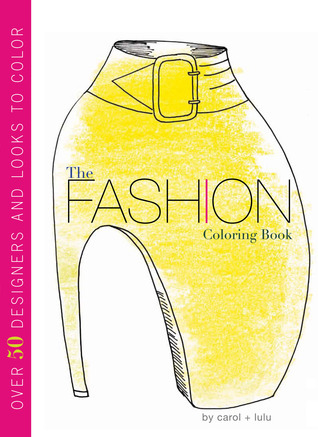 It’s not just a coloring book—it’s inspirational; it’s creative; it’s all about fashion; and it’s loads of fun! That looks really cool!! Thanks for sharing.